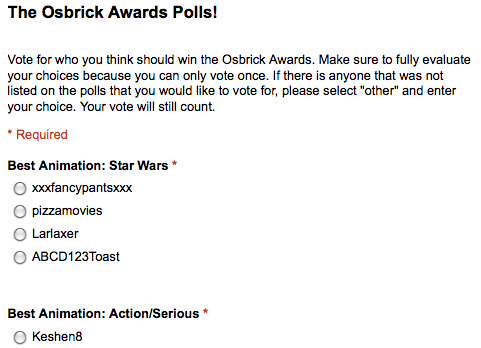 First of all everyone working at the Osbrick Awards would like to thank everyone that voted in the first round of polls. Your votes helped determine who would go on to round 2 which will open on June 6th. This time all categories except "Best Overall" has been narrowed down to four choices. Also, because we had multiple nominees winning several different categories, we had to make it so that they could only win one each. That is why you may see some highly popular people who may have been obvious choices missing from the polls. We have to be fair. Once again we must remind everyone voting to carefully evaluate all of your choices, which in some cases can mean looking them up on YouTube, Google or Flickr. Good luck to our nominees and happy voting! Voting Round 1 Ends Soon! Hurry up and get your votes in! The first round of polls will end on May 31! If you haven't voted yet go to the polls page on this site and fill out the ballot now. 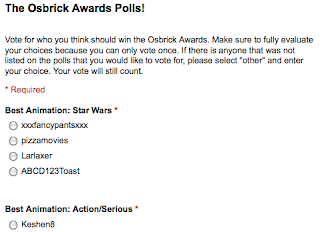 In our recent poll visible in the sidebar to the left we asked everyone to let us know whether the Osbricks should be an annual event and the majority of you said yes. We think so too! If the Osbricks Awards go well this year we will most likely be investing in a domain name for this site. Remember to keep spreading the word about our show! Introducing the Osbricks Advertising Program! 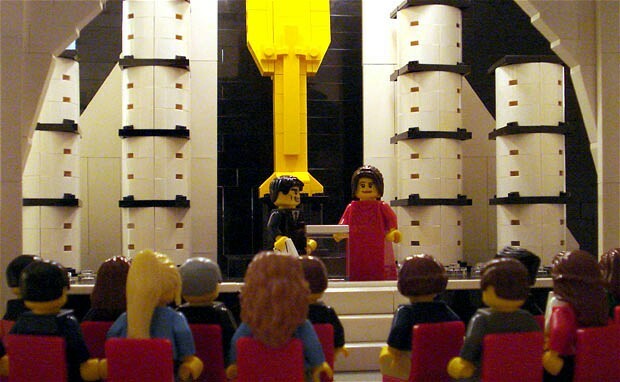 Since the official show for the Osbricks is expected to run for over an hour, we are now accepting requests from people who would like to advertise something Lego-related during several breaks that will take place throughout the video. If you have a new film or project that you'd like to promote or simply just want to gain views we encourage you to apply for this program. Just visit our advertising page. There are currently only a small amount of available spots because fitting in our sponsors is our first priority. Also, please note that we are looking for advertisers with greatest popularity and we reserve the right to make the final decision regarding your eligibility to participate. The Polls Have Been Redone! After we recently realized that there were several major flaws with our voting process, we decided to redo the polls on this site. 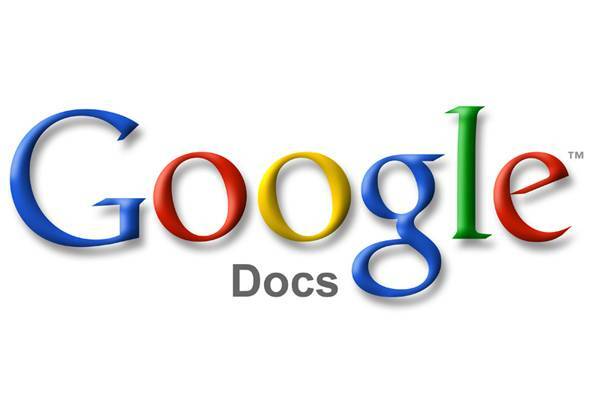 They are now being done with Google Docs. You must fill out all of the polls before you can submit your choices. If you have voted before on the old page, make sure you vote again on the new one. GrooveBricks.com is a Great Lego News Website, they have many free downloads, games, etc. Be sure to check them out! Heys guys it's me 111legoreviews111, and this is the site to vote for who you want to win!!! Please vote in the poles and have fun!! 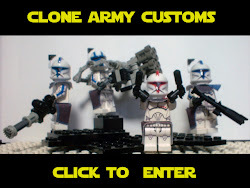 Clone Army Customs is the Official Sponsor of the Osbricks! The Osbricks Awards. Theme images by rion819. Powered by Blogger.